A traumatic amputation is the partial or total avulsion ( tearing away ) of a part of a body during an event causing serious bodily harm, like vehicle crashes, labor, or combat. 1 in 20,000 persons lost a limb by amputation in 2012. Car accidents were one of the most common causes. Often in crushing or cutting injuries it is the damage to the vascular system that causes the need for amputation. If the exremity is so injured that no blood flows to it this can lead to death of the affected tissue. Infection is likely to set in that can cause death, thus the necessity of amputation. Surgeons will make heroic efforts to avoid amputations if possible. I once represented a young lady that was stuck by a car while riding a motorcycle. Her leg was badly crushed and lacerated at the ankle. The surgeon battled with multiple procedures and was able to save her leg. Unfortunately many are not so lucky. Just yesterday a car turned in front of a motorcyclist in Dayton, Ohio. The car motorcycle crash occured at the intersection of Kammer Ave and Anna Street. WDTN initially reported the driver of a van turned into the motorcyclist’s path. Invsestigators were interviewing witnesses. The injury to the motorcycle rider was called life threatening. The motorcyclist was thrown from his motorcycle. The Dayton Daily News later reported that the man may lose his leg. But wait. The paper reports that police are still investigating the accident to see who is at fault, but do believe that speed may be a factor in the crash. This is the typical BS motorcycle riders face and is a standard insurance company defense. Unfortunately with prejudices that treat bikers as second classs citizens in the road, these statements can cause a travesty of justice. “People are taking (their motorcycles) for a ride and they need to remember that they are a smaller vehicle and other cars do not always see them, especially at night,” said Sgt. Andrew Gillig of the Dayton Police Department. What in the world does that statement have to do with anything. Motorcycles can be seen if you are looking properly. May is motorcycle safety awareness month. It seems to have blown right past Officer Gillig. How insensitive and just biased and plain wrong are his words. A man is battling for his life, battling to save his leg . By all reports the crash was caused by the failure to yield and look properly by the van driver, yet arbitrary statements attempting to place culpabilty on the motorcyclist are surfacing. 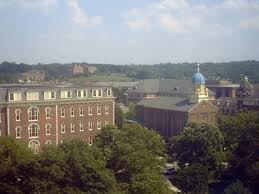 Once again a terrible car accident occurred in Dayton, Ohio involving personal injuries. 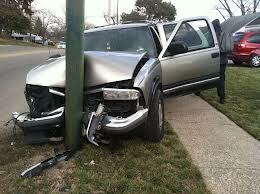 On May 6th, 2013 in the early morning hours police responded to calls of a automobile hitting a pole. Although facts are sketchy it appears that two vehicles were involved. Two cars were apparently involved in the car crash. One of the motor vehicles wrecked into a utility pole. Police surmise that the cars collided and the force of the collision knocked the one car into the pole. The traffic wreck occurred at North Gettysburg Avenue and West Third Street. Police are trying to reconstruct the collision. They think one car ran a red light striking another. But they do not know which automobile ran the light. They think one driver was a male and he went through the windshield. Some of the injured were taken by life squad to Miami Valley Hospital. Police are continuing to investigate. Expect them to make hospital visits to seek the statements of the parties involved . They may issue citations based on the results of the interviews. if you witnesses this crash please call the Dayton Police. If you just read the paper everyday or watch the news or look at the news on the internet virtually a day does not go by the a serious car accident in Dayton Ohio does not occur. that is why I call this an epidemic. Just recently it was reported that through out the United States road deaths are rising. 7. Buy adequate car insurance. Personal injury car accident lawyer with over 30 years experience getting money for injury victims. 1-937-306-6410 to contact an uncompromising advocate with uncompromising compassion for those wrongfully injured. In Dayton, Ohio yesterday a car turned in front of two motorcycle riders leaving one dead and one with an amputated leg. Yet the emphasis on the reporting is “alleged” drag racing. Early indications reported that a pick up truck pulled out in front of the motorcyclists. When a car pulls into a thru highway when other vehicles are so close that a crash could occur that is a clear “failure to yield the right of way. ” Motorcycle riders on a thru street have a right to expect cars will not pull out from a side street in their path. By the same token motor vehicles that are traveling in opposite directions should continue in that path and should not turn into the other vehicle’s path. In this case the car turned in front of the motorcycles. Keith Wooster lays dead. His family mourns and has to deal with this terrible loss. The other biker is critically injured. For what. And why is the emphasis on the reporting on the allegation of “drag racing.” Police are still investigating. When a car driver turns in front of a motorcyclist, all too often the car driver blames speed. Why did the driver pull out in front of a motorcyclist that was speeding . This does not pass muster with me. The bikers only had a short way to go to their destination. So why would they be drag racing? It does just not add up. It is critical for justice for these motorcyclists that witnesses come forward. In addition the police should get a real accident reconstructionist to review all the evidence. Sgt Aaron Fraley was reported to be investigating this accident. My condolences to the family of Keith Wooster and the other motorcyclist. This motorcycles car crash sounds totally preventable. Think about doing something this day to make the roads a little safer for motorcyclists. There were multiple car crashes in Dayton today reported in the news. Rain apparently was a factor but does not serve as a legal excuse. At least three crashes were reported on interstate 75. Within several hours of each other the Dayton Daily News reported there were multiple crashes on I-75 southbound in Dayton, Ohio County of Montgomery. The crashes occurred between Stanley Avenue and Benchwood road. Anyone familiar with the area would not be surprised that numerous crashes have occurred there. The Ohio Department of Transportation’s Buckeye traffic site is a good source for traffic information. Also the local news and Television and internet web sites for the Dayton media commonly report on these car crashes. Often the information is sketchy and all of the details and injuries are not immediately known. It can be seen as a disservice to many car crash injury victims that it is often reported that there were no injuries when in reality there were injuries but they were not life threatening. 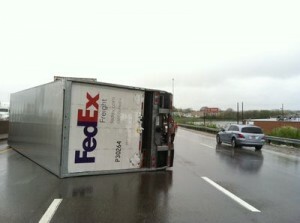 One of the crashes involved a Fedex truck that was apparently caused by a car driver striking the truck. These cases of drivers hurt on the job by the fault of another in traffic crashes call into play the workers compensation law as well as insurance claims law. Each area can affect the other area adversely especially if experienced guidance is not consulted. Bad evidence in one area can corrupt the other claim and even cause it to be defeated. What is is common with these crashes was the rain and a construction site. One may wonder why these areas are commonly involved in car truck and motorctycle accidents with significant injuries. It is law enforcement’s contention that drivers are not slowing down. Additionally the altered and unusual nature of the lanes caused by the construction can be a recipe for disaster.The highway patrol sometimes has a know it all attitude. These officers often risk life and limb to help injured drivers and in fact they suffer many injuries themselves caused by careless drivers. No wonder they sometimes seem jaded. although acknowledged as superior when it comes to accident investigations I have seen critical mistakes made in their accident reconstruction. When serious injuries or deaths occur and fault is an issue it’s best to have an attorney hire a traffic engineer accident reconstructionist. People need to slow down in the rain. Stopping distances are increased, especially as the rain just starts oils leach from the roadway making for slicker roads. In severe downpours standing water on the streets and highways can cause hydroplaning. Insurance will try to use this as an excuse to deny righteous claims. Two persons were caused to die in a car crash this past Sunday on Interstate 75. The Moraine police department was the investigating police agency for this crash. This was a one car crash. It was reported that the automobile ran off the road and hit a pole. The fatalities reported were Bridget Sizemore and Robert Oliver. The families of these individuals will never be the same. Death changes everything forever. But when the tragedy could have been prevented the wounds can run even deeper. Studies show there never is a true emotional recovery for the surviving loved ones. The police were still investigating. Please come forward and call the Sgt Keith Leach of the Moraine police department if you have any information or witnessed this crash. this crash occurred near Dryden road just south of Kaplan college. Anthony Castelli attorney is an Ohio car accident and personal injury lawyer. Call 937-306-6410 to speak with him. Last night it was reported that a Dayton lady motorcyclist was killed in a collision with a car. The driver and passengers in the car fled the scene. This morning it was reported that the man suspected of being the driver of the car has turned himself in. Dayton police made a statement that Dorian Frazier turned himself in this morning. Details of how the crash actually occurred were not supplied. The deceased victim has now been identified as Eva Brooks Fletcher. The Montgomery county coroner’s officer stated an autopsy will be performed. WHIO TV is credited with breaking this story and following it up. To often injured , maimed and killed “bikers” are not given a fair shake. Some people, because of their prejudices, do not seem concerned about the loss and death of a motorcycle rider. I commend WHIO TV for staying with the story that is just unfolding. Too many times the offender’s conduct is excused. Too many times some blame is assigned to the biker. Most motorcyclists are law abiding citizens that would give you the shirt of their back. They deserve full protection under the law. I have seen this happen more than once where the facts get contorted and the implication is the motorcyclist had something to do with the crash. Hopefully with the help of WHIO TV Dayton the truth will continue to be reported fairly. News reports are out of a fatal hit and run motorcycle car crash in Dayton, Ohio on April 4,2013. WHIO TV reported that a lady was dead as a result of a collision with a car. The occupant’s of the car left the scene running. The crash was at West Third and Abbey. Witnesses to the crash were being interviewed. The victim was identified as a member of the Queens of the Night Motorcycle club. Anyone with information about this crash please call the Dayton Police Department. Ask for detective Mark Spears 937-333-1000. Another biker apparently without fault has lost her life. A family is irretrievably broken. Motorcycle riders have just as much right to the highway as people in cars. The excuse that bikes are hard to see is ridiculous. This fatal motorcycle car crash occurred in broad daylight. There are many unanswered questions. You can bet that the car drivers that fled the scene are putting their “story” together. The importance of the eye witnesses are critical to justice. Reconstruction of a motorcycle crash from physical evidence at the scene is difficult unless you have special training. And even then depending on the skill of the reconstruction experts outcomes may vary.